Our shopper can avail from us an exclusive series of Semi Automatic Blow Moulding Machine. Furthermore, we offer this product in diverse specifications that meet on pterion’s demand. 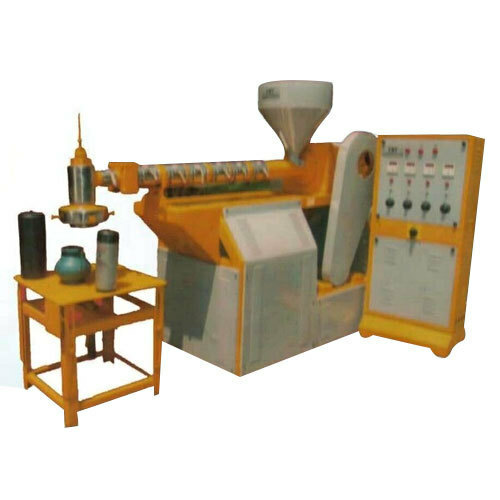 Incorporated in the year 1982, Vishwakarma Machines Tools is placed amongst the reputed manufacturers, wholesalers, exporters and service providers, we are dedicatedly occupied in providing a supreme quality gamut of Moulding Machines, Plastic Mixture Machine, Scrap Grinder, Installation Service and much more. By making use of unmatched quality components and cutting-edge techniques, our competent professionals manufacture the whole range of products in compliance with global quality standards.